After nearly 5 years of conquering the world with its headphones, Beats decided it was time to release an updated model of its most successful pair of over-ear headphones to rule the sets of hip-hop music videos and countless celebrity noggins. 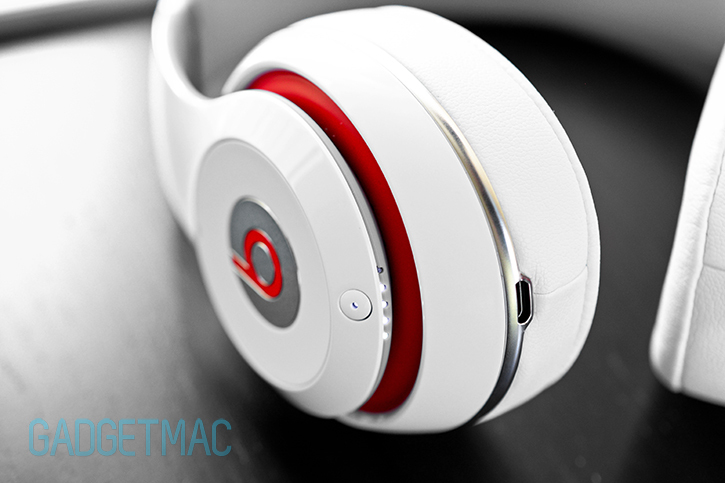 These are the new Beats by Dre Studio 2, the second generation 2013 model which comes to us with a well deserved face lift, hardware improvements and a much needed complete sound signature overhaul. In a bombshell, the redesigned Studio headphones are better than the originals in every imaginable way. On paper. 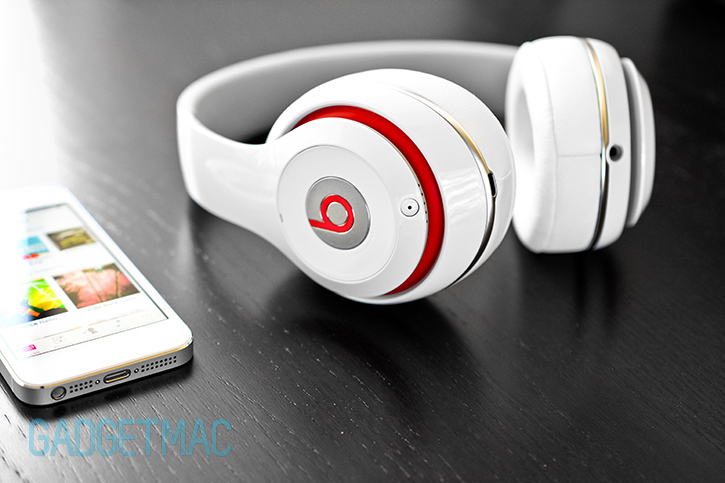 And that leaves us with the task of finding out whether or not Beats improved one of the world's most popular headphones. 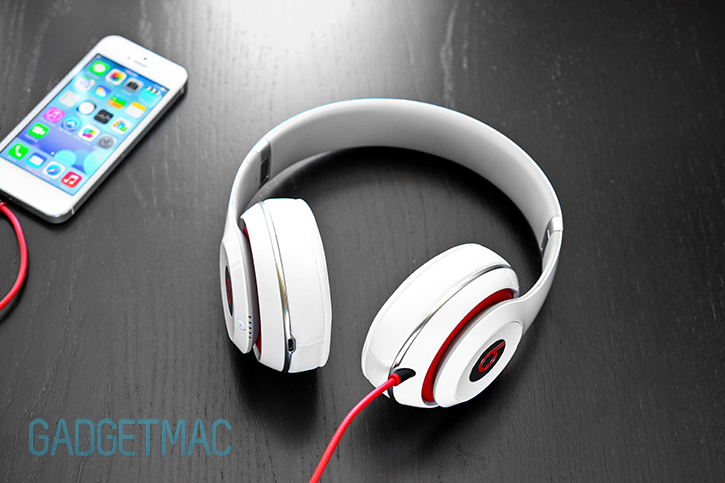 So, should you be rockin' them new Beats? Find out in out full in-depth review after the jump! Apart from the distinct Beats logo on each side, the new Studio 2 share a similar design language with their predecessor that's now sleeker and more streamlined (apparently more aerodynamic as well?) as you'd expect out of an updated model. You could call it a curvier design because that's exactly what the difference is between the older Beats headphones visually which look outdated by comparison. When Beats said it redesigned the new Studio 2 to be more streamlined, they weren't messing around. The new Studio 2 headphones are lighter, more comfortable and more durable than the previous model, but that's not all that's significantly different as you shall see later on. At first glance, the Studio 2 have almost a one-piece design that conceals all moving parts, screws and joints, yet they still fold and have articulating ear cups. 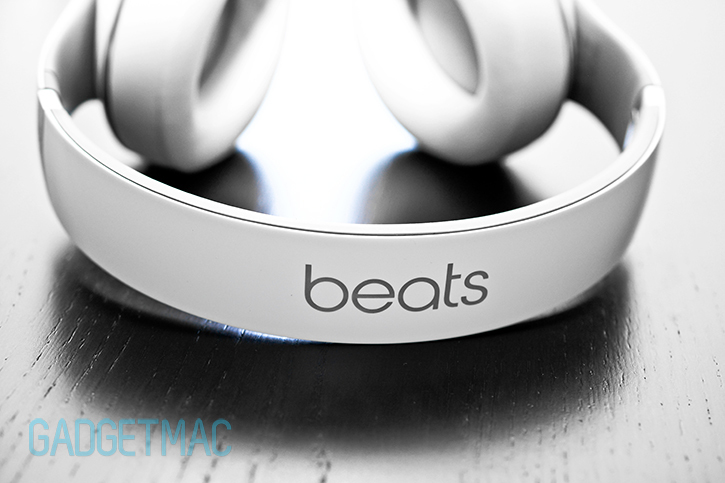 So yes, the new Beats Studio are magnificently designed, and everything about them including the accessories has been designed to be as sleek as possible. It doesn't get any more mainstream than this. 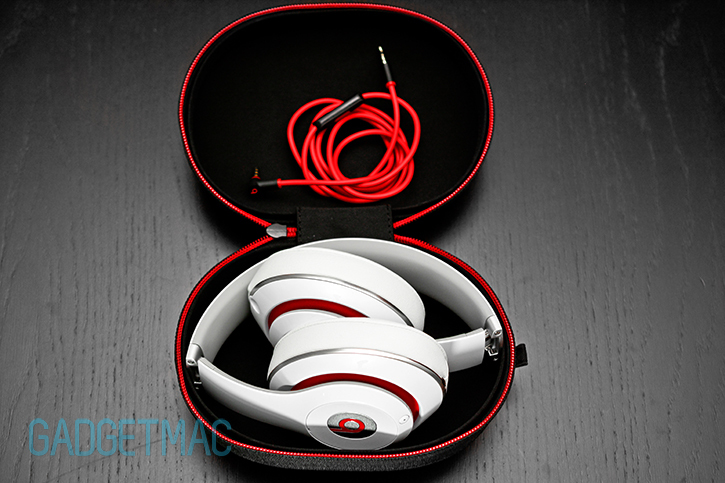 As for color options, you can grab a white, red or black colored Studio 2 for you guessed it, $300. The price hasn't changed, and neither has the high-gloss finish - a problematic combination if you pick up a black pair which are finger-print magnets. An issue that doesn't affect the white model at all. 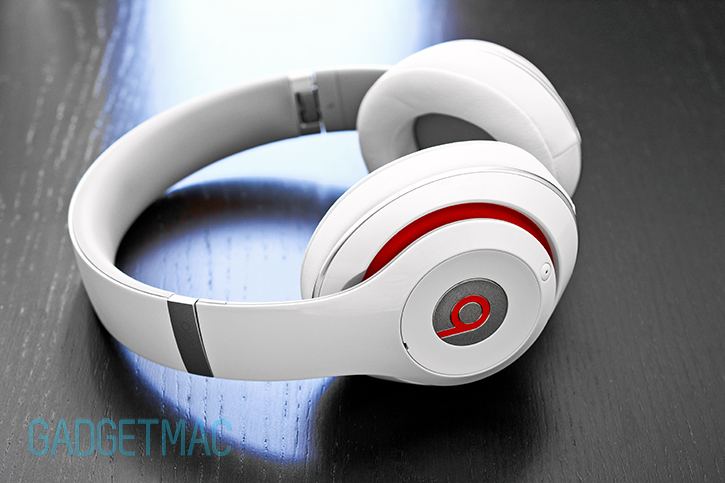 Good thing Beats includes a cleaning cloth with every pair. 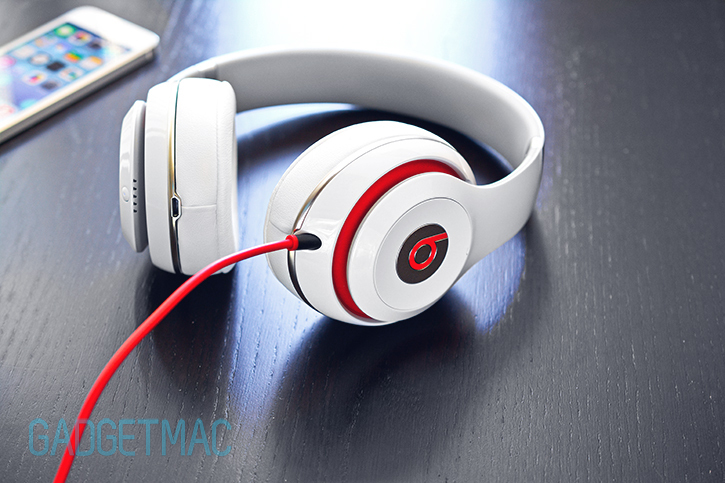 Part of the redesigned Studio 2 headphones revolves around the Beats Pro-like ear cushions which are much smoother and more refined than before. And if you haven't noticed, the brushed metal ring has been replaced with a more rounded silver metallic one that features a polished finish which reflects light and color around it giving the Studio 2 a small touch of elegance. On the black model this silver ring is completely black so it looks more stealthy. Visually I think the redesigned Studio 2 are not only nicer looking than the originals, but they're also more pleasing to touch due to the rounded, ultra-slick shape. Even the headband has a tapered bow to it unlike the flat bow of the previous model that I think is a subtle favorable design change you will notice. Yeah yeah, but you probably want to know what's inside the box right? A lot of red on black coloring that's what. Moving past the iconic Beats color scheme we find a highly protective hardshell carrying case shaped with a similar design that is found all throughout the new Studio kit. It opens using a zipper but lacks any interior pockets or compartments to neatly store the included cables and power adapter. And as you can tell, there are a lot of cables. I don't know about you, but I wouldn't stuff these accessories in with my headphones to risk possibly damaging and scratching that fine finish as everything tumbles around in a mishmash of unorganized mess. Underneath the carrying case you will find a cleaning cloth, some documentations, two pairs of detachable audio cables - one has an in-line RemoteTalk headset remote control, the other a regular straight cable for backup sake. And on the power side of it all Beats has designed a really attractive kit consisting of a detachable USB charging cable and a svelte little USB power adapter I think is one of the nicest USB power adapters and charging cables every to be included with a pair of headphones, or anything for that matter. 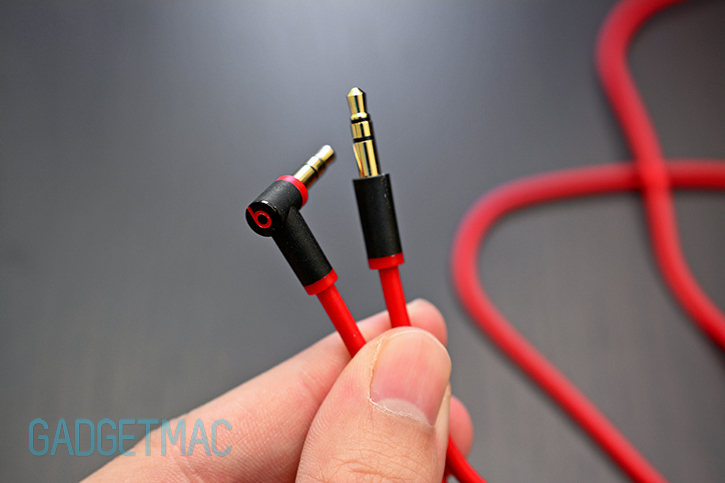 Each audio cable has a durable gold plated 3.5mm L-shaped plug that has been designed to fit into all kinds of protective cases which is a huge plus since most have tight headphone port openings. 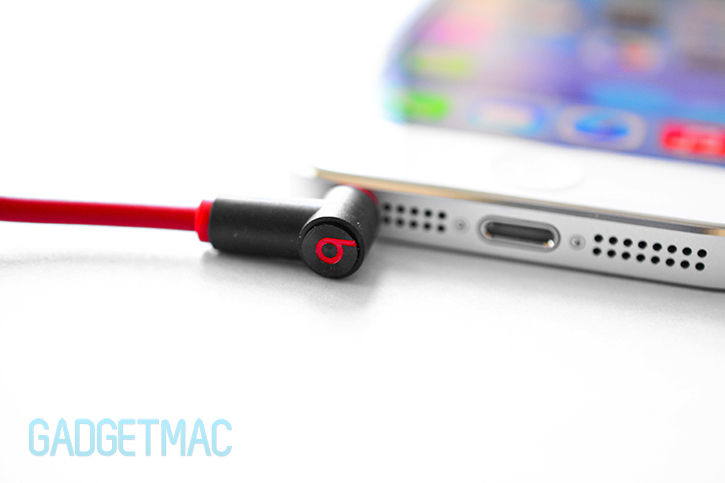 And as with all Beats audio cables, these are made well with a thick cable gauge that's tangle-free yet highly flexible. Unlike some over-ear headphones that partially surround the ears, these fit your ears like a glove, covering every bit of every ear to create a perfect seal without putting pressure on the ears or jaw line. 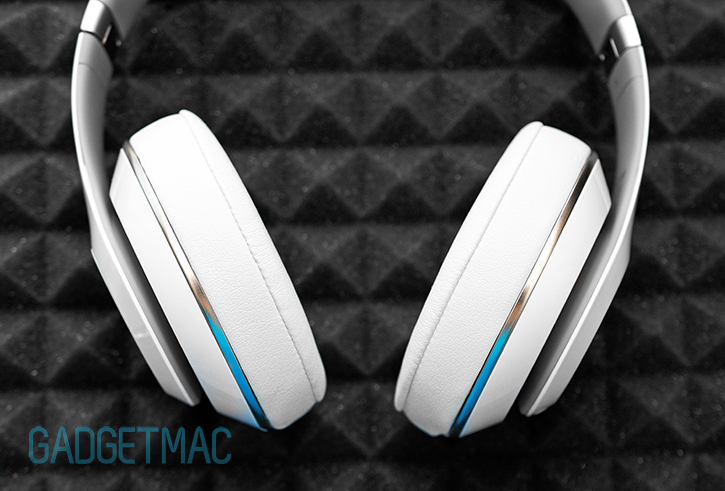 That plus the extra padded, very soft memory foam faux leather cushions that tilt to fit the shape of your head, make the Studio 2 a pleasing and a very comfortable pair of headphones you can wear for a long time before you feel like taking a break. But while they are comfortable to wear, they tend to feel more tight which makes the UE 6000 by Logitech a slightly more comfortable pair to wear that will resonate better with a lot more people because of their roomier ear cup interior. If you have large ears, you might want to consider the UE 6000 as the Studio 2 have a more shallow interior cup design that may end up putting pressure on your ears. 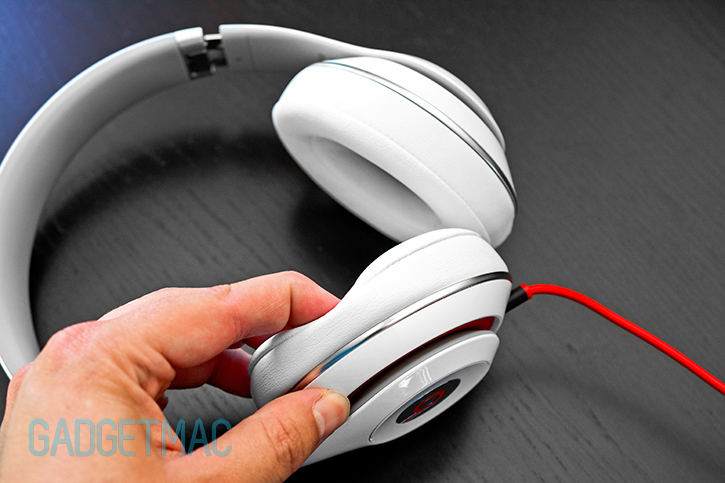 Owners of the original Studio headphones might recall a bad case of audio leakage which would pollute your unwanted music listening to those around you due to poor speaker isolation like some BP oil spill. Well I'm happy to report that Beats has fixed the issue of sound leakage on the Studio 2 which results in very minimal noise pollution at moderate volume. The underlining headband padding on the Studio 2 has been improved in a minor way with slightly thicker gel-like padding that's covered in the same type of gray, smooth rubbery material found on other Beats headphones which fortunately doesn't pull on hairs. But really, there isn't anything wrong with it and it actually does it its job at cushioning the weight of the headphones across your top of your head. Forget swapping out AAA batteries because one of the improvements the new Studio 2 headphones bring with them is a built-in rechargeable battery. Beats claims the Studio 2's internal rechargeable battery yields an impressive 20 hours of playtime, but I've found that to be a inaccurate as I haven't reached the proclaimed 20 hours of continuous usage before a red low battery indicator appeared. Realistically, the battery life is roughly 15 hours, which isn't bad either. It definitely beats having to swap batteries all the time. 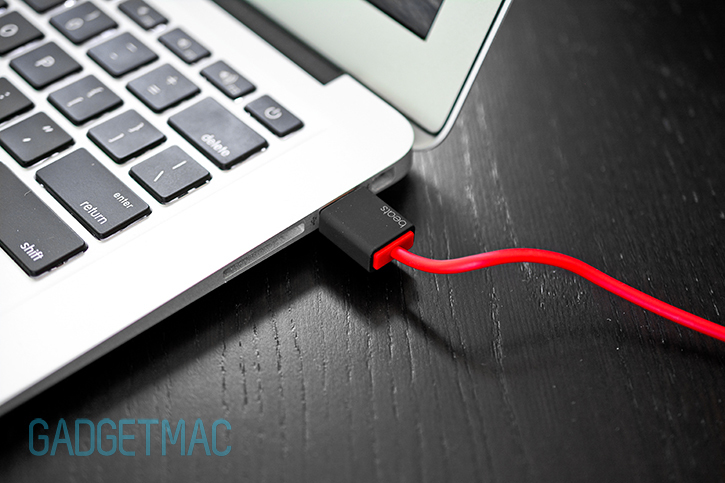 With the included USB charging cable, you can fill up the Studio 2 using your Mac / PC or by plugging it into a wall outlet using the handy dandy USB power adapter. 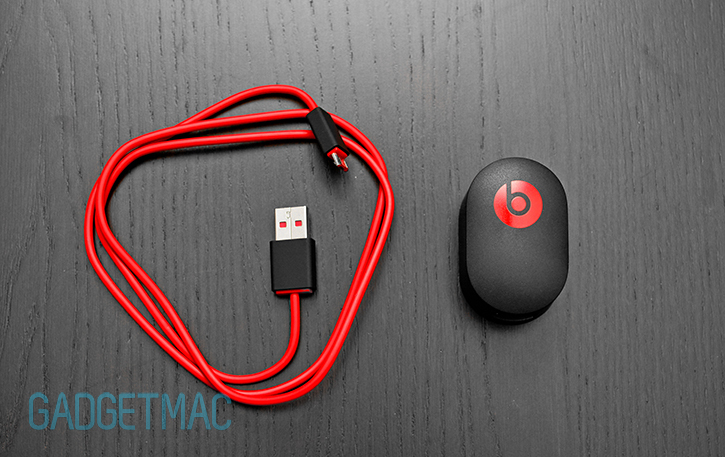 Beats hasn't put any battery saving safe guards in place, meaning that if you leave the Studio 2 powered on with the cable connected then they will not turn off by themselves after a period of time in which they aren't being used. Instead, there is a different auto on/off feature that will automatically turn the headphones on or off when you plug or unplug the audio cable from the headphones themselves. Beats thinks this feature will prevent wasting battery, but what it really means is that you could easily forget to unplug the cable or press the on/off button leaving the headphones powered on continuously which incidentally has happen to me quite a few times. Back to the Studio 2's redesigned figure we find that even its LED battery gauge, which is another new addition to compliment the newly equipped built-in rechargeable battery, is attractive. A series of 5 white LED progress lights will start to pulsate as the battery gauge levels up to visually indicate the status of the charge in real-time. You can press the power on/off button to check up on the remaining battery life. 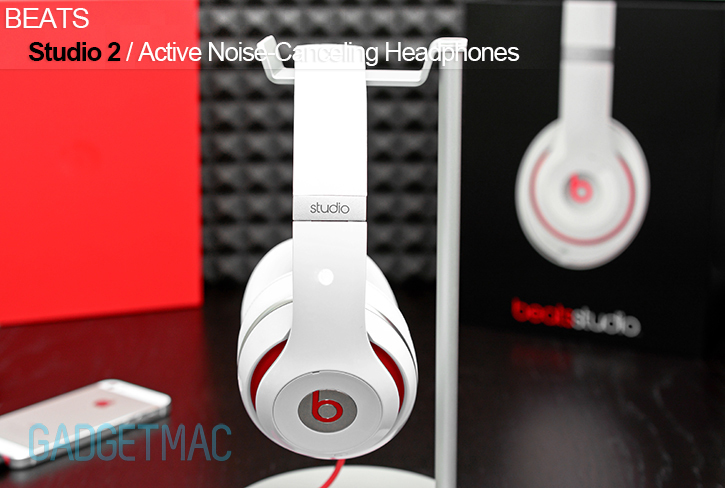 Although Beats did good with fixing a few issue here and there, it hasn't addressed another big concern which is the active noise-canceling hissing noises when the headphones are powered on. 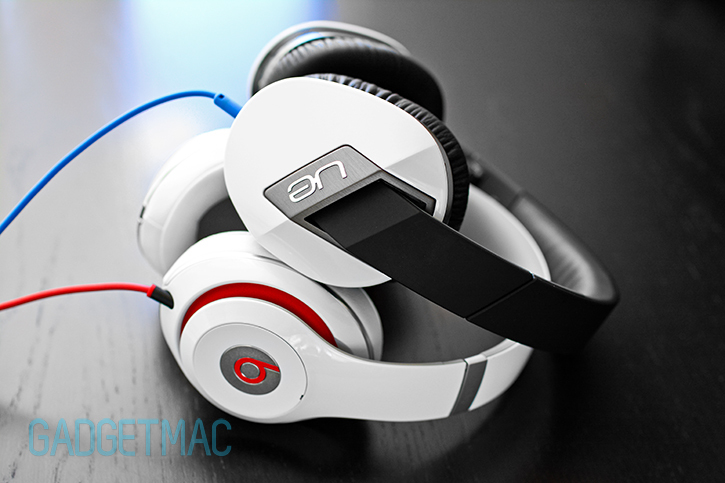 Or as Beats calls it Adaptive Noise Canceling - ANC for short. It seems like the addition of the built-in rechargeable battery has intensified somehow the hissing noise caused by the additional power. The Studio's battery powered hiss noise can really interfere with music that's heavy on vocals and acoustics. But perhaps when the hissing is at its most irritating state is when you're just doing work without listening to anything while the headphones are powered on, the hiss is discombobulatingly loud and followed with a strange light wobbling noise that sounds like interference. This has completely nothing to do with what audio source you're using or how good of a soundcard your computer has. It's without a doubt the worst hissing I have ever experienced out of all the powered and active noise-canceling headphones that I have tested over the years. By comparison, the UE 6000's ANC feature is completely silent when powered on. Though it's worth noting that the hissing does calm down once you disconnect the audio cable which is what Beats actually wants you to do if you aren't listening to music and simply want to block out background noise while wearing the headphones. 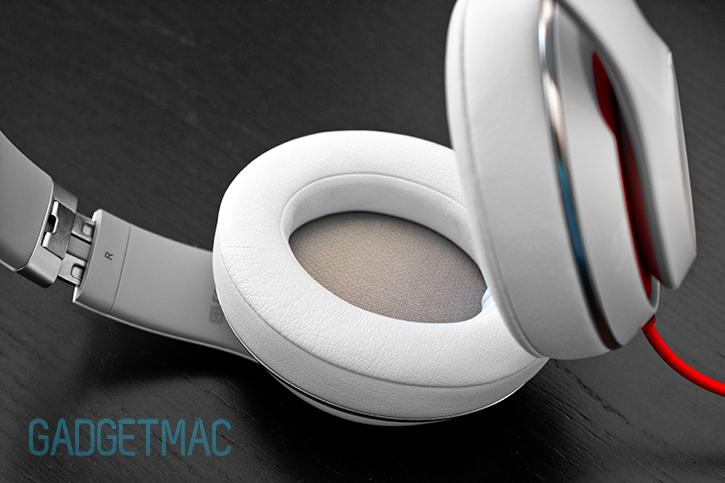 This is what Beats calls dual-mode ANC, Beat's Adaptive Noise Canceling mode that lets you choose between canceling out external noise while wearing the headphones like a pair of ear plugs or while listening to music with a cable connected. On the plus side, the Studio 2's dual-mode adaptive noise-canceling feature works remarkably well in reducing or I'd even say cutting out engine noise and other ambient background noise really well. Paired up with an all-ready great isolation thanks to the well designed ear cups and supple memory foam cushions, the Studio 2 actually work as advertised on one of their claims to fame. 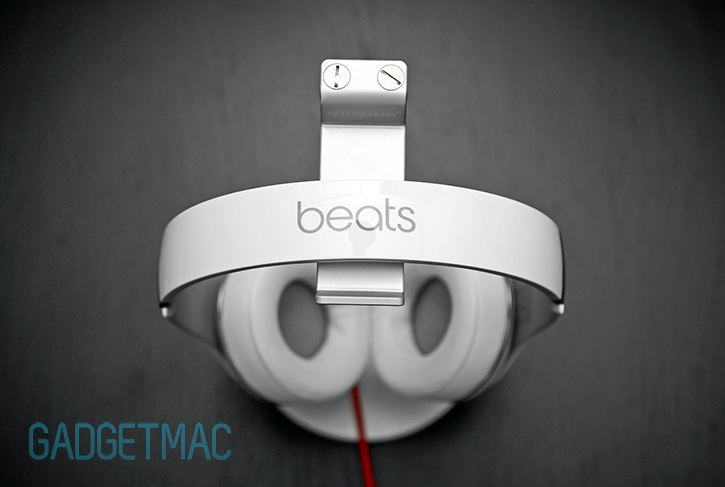 On the left ear cup is where you'll find the round mute button in the form of a Beats logo. Pressing and holding it will activate the mute function. Muting the Studio 2 fades out your music nicely and turns off the ANC so you can hear the outside more clearly whilst still wearing the headphones. RemoteTalk is the new ControlTalk, the Studio 2's iPhone and iOS-compatible in-line 3-button remote control and mic bundled into one sleek and functional headset dongle that lets you control volume, pause/play and skip tracks - as well as basic control over phone calls and Siri. Aside from having great tactile and easy to use button controls, the RemoteTalk's mic quality blocks out ambient noise very well but does make you sound like your talking behind something so you'll need to speak louder than you normally do. It also doesn't help that you can't hear yourself talking correctly while wearing the Studio 2 because they always try to block out external noise including your talking. It isn't practical which is why I'm sure no one is really going to be taking phone calls using the RemoteTalk feature. And of course, the Studio 2 fold up into a compact form factor to fit the included carrying case. If there's anything good to say about this glossy plastic construction it's that it is surprisingly solid and less cheap than it has been before. 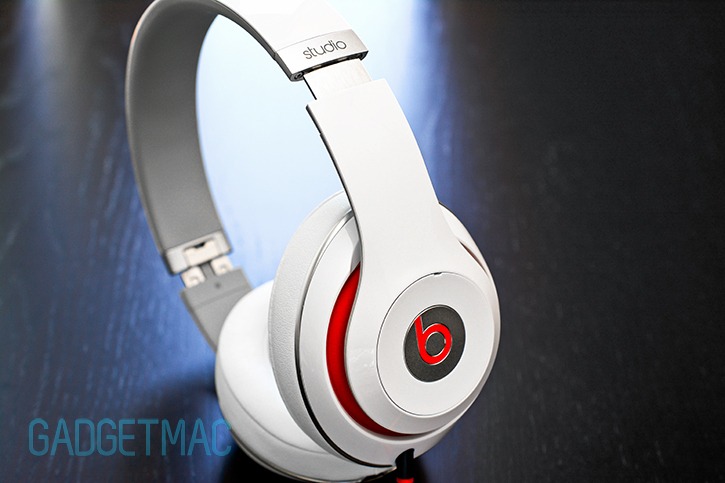 I think Beats nailed it with the Studio 2.0. 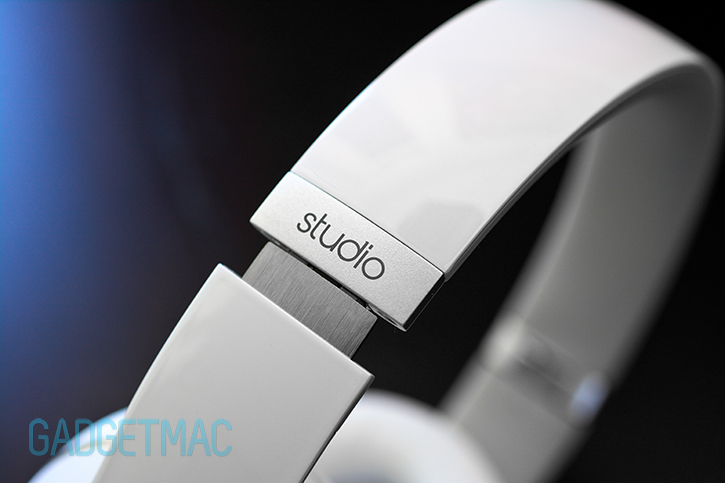 The build quality is substantially better than the first Studio model with the redesigned headband which is curved and tapered slightly instead of having a flat bow-shape design, and I think that has added to the a level of quality feel to the overall construction of the new Studio 2.0. The foldable hinges are made out of metal as are the adjustable headband arms which reveal a really nice brushed metal finish when extended. Beats has also improved the ear cup joints which are hidden behind a flexible red rubbery membrane with a more weighty feel and robustness that I really appreciate. Overall I'm really liking how well the Studio 2.0 are put together. The design compliments the new and improved build quality which although is still all plastic for the most part, it doesn't feel cheap! 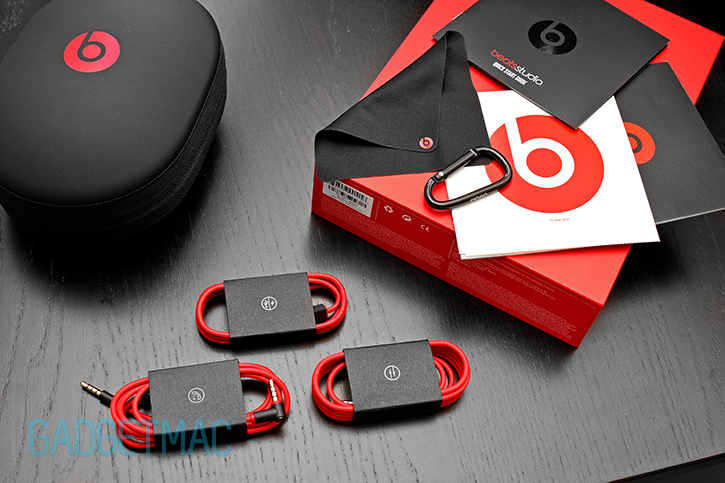 So far it looks like Beats listened to people's criticisms, and there were a lot to go around not only with regards to the poor plastic construction, but also with the unbalanced and muddy sound quality. Speaking of which, that's coming up next! 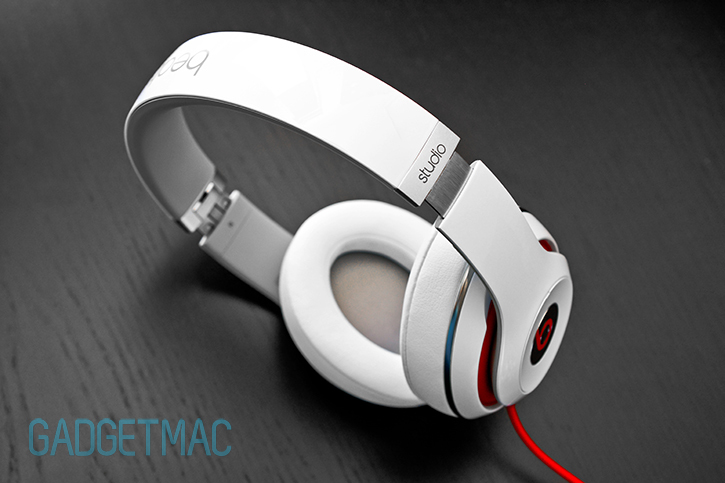 Now onto the most critical, most criticized part about anything that has to do with a Beats-branded pair of headphones. Listening to the Studio 2 straight out of the box, I wouldn't hide the fact that I had this notion in the back of my head that I was going to be disappointed with the sound quality. And that was partly true in the first few hours of using them. But after a few solid days of use, the sound has opened up to my surprise. Now I'm not sure if it's some kind of a placebo effect playing a trick on me, but what sounding slightly muddy, recessed and unbright - sounded better than just all right the next day. Underneath that streamlined new physique are a pair of 40mm drivers, the same drivers used in the previous lot, albeit tuned differently this time. 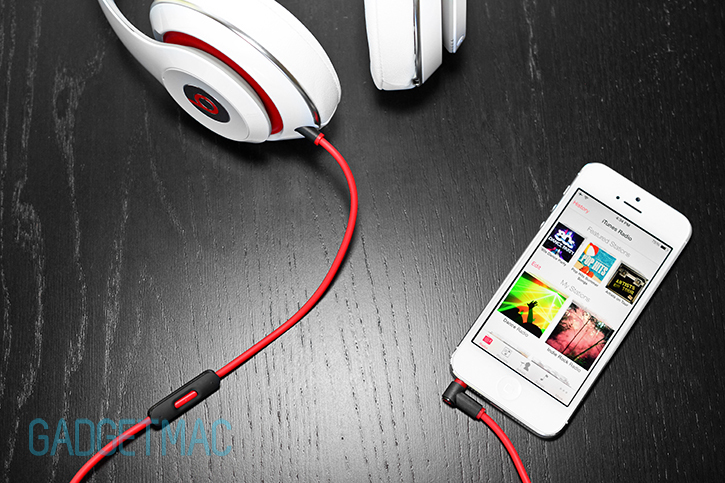 What has happened to that once iconic thumping bass every Beats headphones especially the Studio has been notoriously known for? It has been neutered of its alpha male pounding pride. 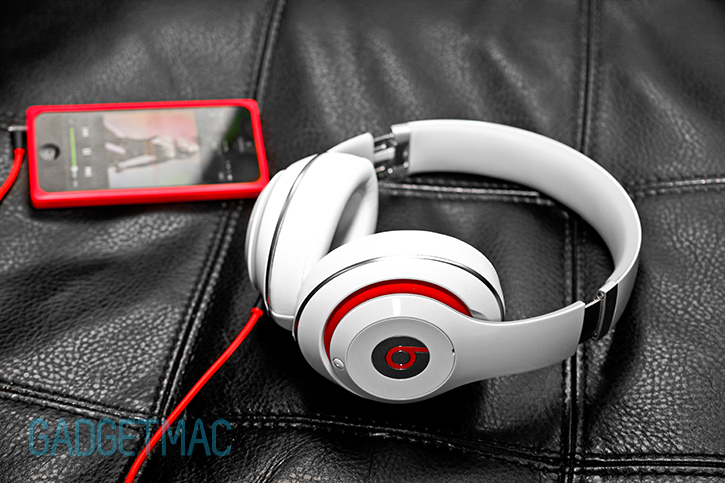 Who would have thought that Beats would tone down the bass on the Studio to regain favorable credibility? With that said, the bass has seen a significant improvement and is now calmer yet not without its rich thumpy signature. The difference is that the Studio 2 have more appreciation towards more than just bass, and that translates into a warm quality sound that's surprisingly not muddy or with bass that drowns everything in its wake. The Studio artificially boost their bass response using the built-in battery powered amp. There's nothing wrong with that in this case, as long as its done in proportion. Beats even has a name for this artificial audio enhancement and they call it their proprietary DSP software, and that's also why you need to power these puppies. Putting the Studio 2 against one of the best active noise-canceling over-ear headphones, the $200 Logitech UE 6000, it became apparent that the Studio 2 were overpriced in terms of sound performance. However, and to my surprise, the Studio 2 sounding a lot like the UE 6000 with the exception of having less detailed bass response and midrange. But to the untrained ear, it is insignificant to say the least. Without putting the Studio 2 up against better or relatively equal headphones in a direct audio test comparison, the Studio 2 will undoubtedly sound good if not fantastic to most people. Overall I'm happy that Beats has improved the Studio's sound signature to be more balanced, clear sounding and a midrange that actually has presence. But if you want to experience bass that's well rounded and reaches lower, the UE 6000 are marginally better performers than the Studio 2. And if studio-grade sound quality actually matters to you, I think the $130 HP-800 by NuForce deserve an honorable mention here. They're truly incredible performers when it comes to high-end balanced sound quality for the price you pay, but they're designed to stay at home or in the studio space - and of course they lack many features the Studio and UE 6000 offer. While we're comparing headphones - as much as I appreciate the built-in rechargeable battery and adaptive noise-canceling feature, there's one tragic flaw that Beats hasn't let go even through the this whole redesigning process phase. I'm of course talking about the fact that you can't use the Studio 2 to listen to music without powering them on unlike Logitech's UE 6000 which entertain the option of passive use when you want or when you run out of battery. I wouldn't blame anyone for wanting a pair of the new Studio 2. I mean how could you resist such an appealing package? I thought this whole review would be one dejavu of rightfully bashing the Beats brand for poor audio quality and headphones that felt cheaply made, but as it turned out, it's quite the opposite of that. If you're someone who has tried the original Studio headphones or own a pair at the moment, there's no question that the few enhancements made to the build quality and sonic performance will make the new models a desirable pair. But they do come with a few downsides which include an irritating noise-cancellation hiss, no battery saving mode and sound quality that doesn't merit a $300 price tag. We also dislike the fact that the Studio 2 cannot be used unless powered on, a serious disappointment when caught with a momentarily dead built-in battery. But we're pretty sure that won't hold back people from purchasing them. The original Studio were overpriced, and I'm afraid that the same applies to the 2013 model as well even though they are considerably superior in a lot of ways. Our final verdict is... Don't buy the new Studio 2, but get the UE 6000 instead or even the UE 9000 if you'd like a wireless ANC equivalent with a rechargeable battery. For $100 less, you get a well designed pair of headphones that sound just as good if not lightly better than the Studio 2 without sacrificing active noise-canceling, build quality, comfort and portability. 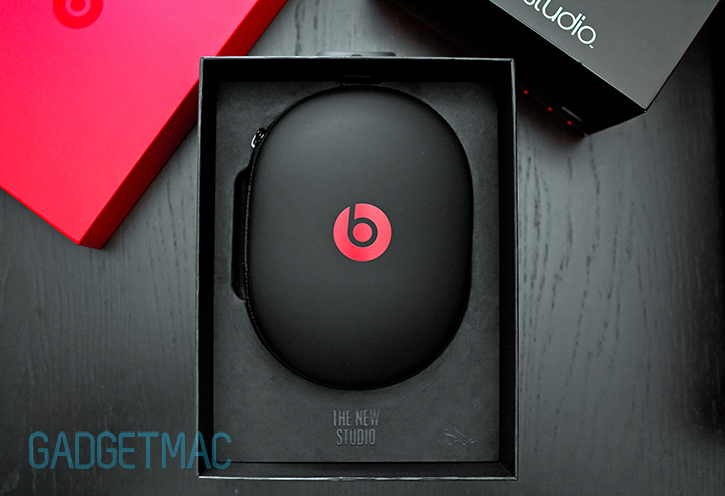 It's a no brainer unless you really like what Beats has got to offer with the new Studio 2. In which case, we think they're a fine pair of headphones with an attractive set of skills no doubt. But, $300 is a lot to ask for plastic-made headphones that hiss more than any ANC headphones, cannot be used without juice and don't have a $300-worthy sound.